On Saturday, October 13th, Genevieve will be at Eastern Market in Downtown Detroit where guests can not only purchase a variety of homemade GT Pie favorites including sandwiches, salads, and chicken pot pies but also compete in a Michigan Apple Pie Baking Competition. The First THIRTEEN – A BAKER’S DOZEN Michigan Apple Pies presented to the panel of judges beginning at 9 a.m., but NO later than 11:30 a.m. at the GT Pie Food Truck located near Shed 5 in Eastern Market will compete for three Meijer Gift Cards: First Place $100; Second Place $75; and Third Place will take home a $50 Meijer gift card. In addition to bragging rights, the winning pie recipe will also be featured by Eastern Market partners throughout Metro Detroit. The first place Michigan Apple Pie recipe will be featured on a recipe card with credit to the chef that will be distributed at over 30 locations throughout the city including Eastern Market on Saturdays, Detroit Community Markets and its website, Farm Stands, Tasting Stations, and Red Truck Fresh Produce. Genevieve will make her way back to Eastern Market on Saturday, October 20th as GT Pie and the Eastern Market team will host its first-ever Market Kids’ Make and Bake Apple Pie Making activity 10 a.m. to Noon. Children ages 2 to 12 are invited to participate in any of the pie making sessions at 10 a.m.; 10:30 a.m.; 11 a.m.; and 11:30 a.m. Pre-registration is available online via EventBrite: click here to register. Parents or adult friends are asked to accompany their kids while making the Michigan Apple Pies. A donation for participation is encouraged and ALL proceeds will be presented to Eastern Market to assist in further funding EMC children’s healthy eating and cooking classes. Both Grand Traverse Pie Company and Eastern Market Corporation will match ALL proceeds to promote its mission of providing food access and nutrition education by way of its cooking classes. YAY!!! Hope we see this in the Lansing area! 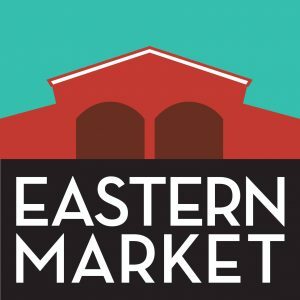 Where is the eastern market? How ’bout a road trip to The Villages, FL so we could enjoy your pies here?? You could park Genevieve at Grand Traverse Plaza or Brownwood Paddock Square (as in Brownwood, MI) on Torch Lake Dr.—-all named after the developer’s home town in northern MI!!! Or, just open a shop at Grand Traverse Plaza! We love the names, Anita! Thanks for the suggestion. 🙂 It will be fun to see where ‘Genevieve’ takes us. Who were the winners of the pie contest? Hi Laura, the winning pie recipe was presented by Northville’s Kay Fedewa and featured Michigan Honeycrisp apples. Taking second place was Lois Spruytte of Richmond, Michigan. Her pie featured Michigan Honey Crisp Apples, Jonagold and Wolf River Apples. The third place pie was presented by Warren’s Davie Dobek. His pie featured Fuji Apples. It was a fun day celebrating fall and Michigan Apples! We saw Guinevere parked at the East Lansing store last week and wondered what was up. Now we know.